Editor's Note: A version of this post originally appeared on Bond Street. The balance can perhaps be attributed to the meeting—or battle, on occasion—of two minds. Manny brings with him years of practical experience and knowledge. Joe delivers a fresh eye, keeping the business competitive in an ever-changing landscape — hosting holiday pop-up shops at The Standard hotel, appearing in short films and even letting a company 3D scan that very same pig we mentioned earlier. Crest Hardware remains, frankly, cooler than the big-box chains precisely because of its idiosyncrasies. Because if you can’t beat your competitor on price, you sure better have a better looking canvas tote bag—and probably some quality power tools. JF: No, never. I didn’t think it was part of the formula for me at all. I had eyes on a whole bunch of stuff, maybe even moving out of New York. I was doing a lot of acting at the time. I just didn’t see the store for what it really truly was. As far as deciding to jump in, there was no real “ah-ha” moment; it just kind of crept into my subconscious and I realized that the store was an amazing opportunity to make a living, to contribute to the community, to do things on my terms, and to still flex my creative muscles. Anything I wanted to try, as long as it wasn’t costing the store a ton of money, I could—I could take some financial risks in order for the shop to grow. JF: One-hundred percent. I think that is why I enjoy it as much as I do: because I’ve been able to make the store very much my own. At the same time, I’m constantly reminding myself that Crest was as successful as it was before I had a decision-making role. I think my creativity has brought it full circle and has made it a destination for an entirely new generation and demographic of people. But my dad must have been doing something right for the first 48 years before I got there. I’d be foolish to discredit or ignore that. JF: There’s a ton of stuff. I wanted to rip off the Band-Aids. We’re talking mid-2000s, post-recession. I had all of these ideas to save us money and have us be profitable—some required cutting certain employee-related stuff. But my dad has seen tough financial times before. He wasn’t going to cut employees. It taught me the importance of them coming first. At the end of the day, our employees are the building blocks and the foundation of the shop. Better for me to be cutting my salary. That’s a tough lesson for a new administrative to learn. JF: There were tougher times. There was undoubtedly weeks and months from ‘62 onward where my dad was the last to get a paycheck, if a paycheck at all. He would cut his salary instead in order to attain long-term goals as a business. JF: For 48 years, we were never open on Sunday. Obviously Williamsburg is changing today, but it was mostly an old school Catholic Italian American demographic for a long time. There used to be an understanding that you can’t get lightbulbs or a plunger on Sunday. You do that all on Saturday. That’s not the formula anymore. We can’t afford to do that. I wanted to be open on Sundays the same amount of hours, year-round. My dad was like, “Listen, if you’re going to do this, how about we start with limited and seasonal hours.” Move slowly. One of the things I added to the store was a garden center, seasonal plant merchandise. But that’s the type of stuff people buy on the weekends. I was trying to explain that to my dad, which he understood, but he wanted to ease into it, otherwise you’re going to have a mutiny on your hand. You’ve got long-term employees that you don’t want to upset. JF: Oh, yeah. It wasn’t the neighborhood at all. For them, I think it was really one of those “hallelujah” moments. But the lesson from my dad was not to just open the flood gates right away—slowly ease your way into change. JF: All paper. We’re talking a sliding credit card machine. Again, I utilized the whole MO of slow changes—it’s a marathon not a race. We changed over to digital little by little. One of the first things we did was digitize our entire inventory and get computerized POS systems and have credit cards that were all tied in. Then we increased our digital and social media presence. They say you’re supposed to spend 1 percent of your annual revenue on marketing and branded advertising, but that’s still a lot of money for a small business. We did it slowly. As we waited, a lot of that technology became less expensive to dive into, like website templates. That kind of stuff saves you a lot of money because you’re able to do it yourself. JF: I was asking for favors left and right. I was offering discounts and trades to graphic designers in order to get where we wanted to be. You gotta do what you gotta do. JF: Definitely time intensive, which is why we don’t do Crest Fest anymore. For the most part, it was just my wife and I and one other friend producing an entire art show with upwards of 300 artists and installed in a retail environment. Crest Fest and the art show were amazing for the community. It was an all ages event, free to attend, but very, very time consuming for us. And we were putting it on during our busiest time of year. The day of the festival, sales were actually lower, but the stream of the foot traffic it created both day-of and long-term was really where the value was. Obviously I love the community and civic aspect of it. That’s always been one of the #1 things my father and my mother both preached to me: the civic mindedness of washing the other hand. JF: Massive. It’s equally important to me to do things like the Crest Fest as it is being profitable. For me, it’s a symbiotic relationship. I can’t do one without the other. It’s part of our identity. If we lose our identity then we lose everything, and we might as well just roll over and wait for a big-box store to come and swallow us whole. It’s what helps Crest Hardware stand heads above the competition and above other hardware stores, but more importantly above bland and sterile big-box corporate locations that sell the same product. Bond Street: Does your old-school identity and community involvement keep the neighborhood loyal to you? JF: One-hundred percent. There’s so many wonderful examples of it. You know, there are days as a small business owner when you think, “Why am I even doing this?” Every year there are new rules, new regulations, new fines to pay. But then you see a customer who comes in day-in day-out have a kid and then they bring their kid to the hardware store for the first time. Or a young guy and gal have their parents in town and want to show them the cool area and they bring them to the hardware store. Like, are you serious? You know how many times I’ve heard that? It never gets old. It almost makes me want to cry sometimes. JF: It’s not just about legacy. I know people that run family business that are guilted into a legacy. They know that the business model works so they don’t add anything, they don’t take anything away. And they live this miserable existence punching a clock. That’s boring. How can you want to live that type of life when there are so many easy steps you can take to make yourself a viable part of the community? I don’t go up to every customer and spew out local business facts like, “Hey, for every dollar you spend it puts 30 percent more back into a local economy. It helps my employees live locally. Those dollars are spent and recycled within the neighborhood.” Brooklyn gets a lot of flack for this obsession with local this and local that. It’s easy to make fun of, but a lot of people don’t realize the actual benefits of it. JF: You gotta be aware of the businesses and your environment around you. For instance, I watched all those 99-cent and value stores close up—that’s where a lot of people were getting their inexpensive housewares. So I had to recognize that and say, “I don’t want to offer that low quality stuff but I think there’s a void in the market and I can offer a better selection to customers that need it.” It’s about versatility. 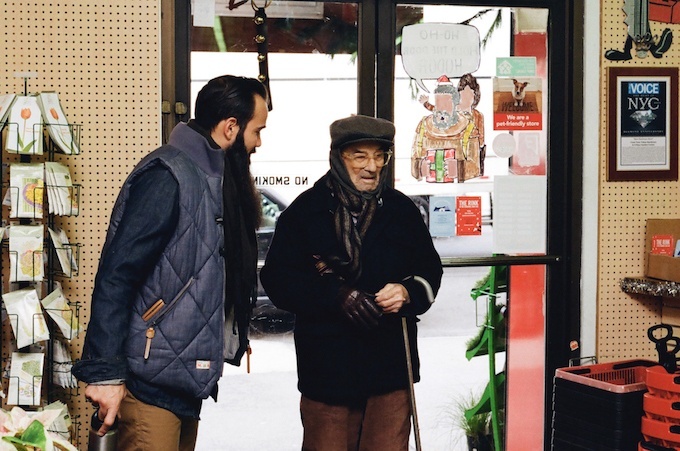 We try to keep a general store vibe, being able to go to one place and get everything. We’re not giving you everything under the sun, but we’re giving you what we think you need in order to survive, and curate it and make it cool. It takes a lot of time. It takes years. Just like my dad said, it takes years.